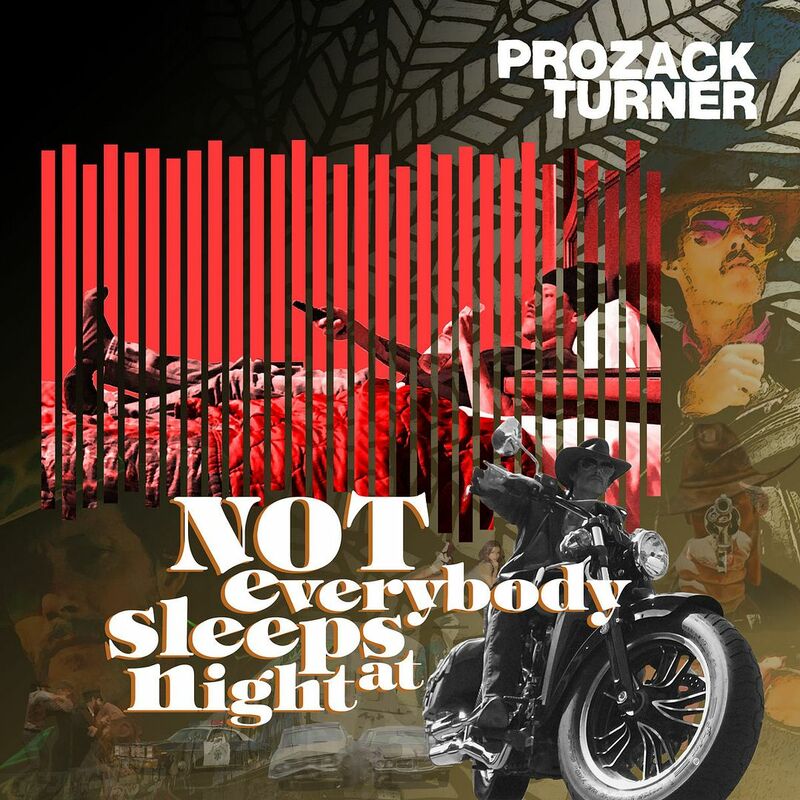 Raised by Gypsies ::: Music Review: Prozack Turner "Not Everybody Sleeps At Night"
Music Review: Prozack Turner "Not Everybody Sleeps At Night"
Prozack Turner is everything that I love about hip hop. The beats, the lyrics, the fact that he calls out other rappers without seemingly batting an eye. He tells them to up their game when it comes to the music because they use that over the counter software. I'm not going to argue with him in this aspect either-- too much hip hop sounds the same, as if they're all using the same cookie cutter pattern to create their beats. Is it the same free software? I don't know and I'm not sure I really want to know. After calling out the radio (I don't like the radio either) and name dropping Hunter S. Thompson, Prozack Turner calls out all the kids who buy t-shirts at Hot Topic to support causes but do nothing about them. Yes, people will likely listen to this and be offended because it hits a little bit too close to home. You know what I say to that? Good. Prozack Turner is that long look y'all need to take at yourselves in the mirror. Somehow, these audio clips from movies of people being broken up with (it starts with Woody Allen, of course) get combined to actually form lyrics. That's how good Prozack Turner is-- he can turn other peoples words into rhymes of his own. This can also take a rather serious turn- the lyrics can go to places you might not want to, but man, I tell you this is still among my favorite albums not just of this year but all-time. There are guest spots on here, but this album is overall one of the best representations of hip hop I have heard in quite some time. Who is safe from Prozack Turner? Apparently no one. While I must agree not everybody sleeps at night (And for a while I thought it was "midnight") and that can have various interpretations, I just hope no one sleeps on Prozack Turner.